Microsoft launched a direct competition to Apple’s MacBook Air and MacBook Pro (lower version) at its EDU event yesterday. While we are aware of Microsoft’s struggle over the past few years to make a tablet as good as Apple’s iPad, we also know that not everyone wants a computer that can double up as a tablet. 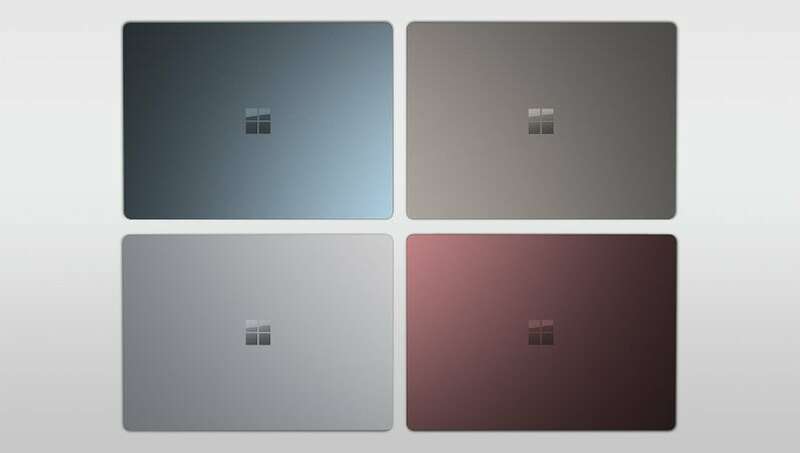 So now, the company has launched a proper simple laptop called, the Microsoft Surface laptop which will be available in Platinum, Burgundy, Cobalt Blue and Graphite Gold colors. The Surface Laptop will be available in two variants – the Intel Core i5 and i7 processors and up to 512GB of storage. The Surface Laptop will be priced at $999, which is approximately Rs 64,000 for the base model with 128 storage, 4GB RAM and a Core i5 processor. The i5 model bumps up to 8GB of RAM and a 256GB flash storage which will be available for $1299 (Rs 83,200 approx). On the other hand, the i7 model with Intel’s Iris graphics starts at $1599, (approximately Rs 1,02,00) for the same 8GB RAM and 256GB SSD model. The 512GB variant with 16GB RAM is priced at $2199 (approximately Rs 1,41,000). The Surface Laptop is up for pre-orders. Customers can pre-order Surface Laptop in the US, Australia, New Zealand, Austria, Belgium, Denmark, Finland, France, Germany, Ireland, Italy, Luxembourg, Netherlands, Norway, Poland, Portugal, Spain, Sweden, Switzerland and the UK via Microsoft Store, microsoftstore.com and BestBuy.com. Microsoft has informed that the Surface Laptop will come to China later this year. However, the India availability is not known at the moment. Microsoft’s Surface Laptop features a 13.5-inch PixelSense display with edge-to-edge Corning Gorilla Glass 3 on top. Interestingly, Microsoft has retained the same size as the Surface Book. It comes with a display resolution of 2256 x 1504 with 201ppi. The company claims it’s the thinnest LCD touch screen display on any laptop with 2.76lbs weight and 14.47mm thickness. The laptop is powered by the latest Windows 10 S which was launched at the event itself. Apart from that, the Surface Laptop comes with an offer for one-year subscription to Office 365 Personal and 1TB of free storage on OneDrive, providing you full access to Microsoft Word, Excel, PowerPoint, and OneNote. Talking about Windows 10 S, it is the toned-down version of Windows 10 and is also Microsoft’s education-oriented OS. The laptop will be available in two editions – the base variant with an Intel Core i5 processor comes with 4GB / 128GB and 8GB of RAM and a 256GB SSD. The higher edition comes with an Intel Core i7 processor that includes Intel’s Iris Graphics paired with 8GB RAM /256GB SSD and 16GB RAM / 512GB SSD. The laptop sports a Windows Hello IR camera for facial recognition login, along with a 720p web cam. Apart from that Microsoft Surface Laptop also comes with an “OmniSonic” stereo speakers with Dolby Audio Premium, to keep the sound quality right. In terms of battery, Microsoft guarantees that its new Surface Laptop will offer four extra hours of battery life than the 13-inch MacBook Pro. Microsoft’s blog claims that the Surface Laptop has up to 14.5 hours of battery life and can last throughout the days. Connectivity options include USB 3.0 port and a mini DisplayPort. USB Type-C is one major omission in the new laptop. Microsoft introduced the USB Type-C back in 2015 with the Surface 3.